The ‘Smart Cities’ plan of futuristic cities which operate by themselves using Artificial Intelligence is not even mentioned in the BJP manifesto. has it gone kaput? In 2014, the Bharatiya Janata Party had promised to build 100 Smart Cities across India, all in an attempt to modernise urban infrastructure so that it can handle the bulging population in major city centres. In June 2015, the Smart Cities Mission was launched. During the launch, PM Narendra Modi said public representatives are remembered for the good work they do during their tenures. He urged Mayors and Municipal Chairpersons attending the launch to contribute for the good of the people and reminded them that all 500 of them have the responsibility of ensuring a better quality of life for 40% of the country’s population that resides in Urban India. The 40% number is a slight exaggeration. Currently, according to the india.gov.in portal, cities accommodate nearly 31% of India’s current population. By 2030, the population in cities is expected to touch 40% and contribute to 75% of the country’s GDP. Those are crazy numbers when you think of it. There is clearly going to be a rapid escalation of problems in our cities. The basic idea of Smart Cities Mission is to select 100 smart cities in four rounds and then develop them over a period of five years beginning from the selection date. The last one they selected, Shillong, was in December 2018. 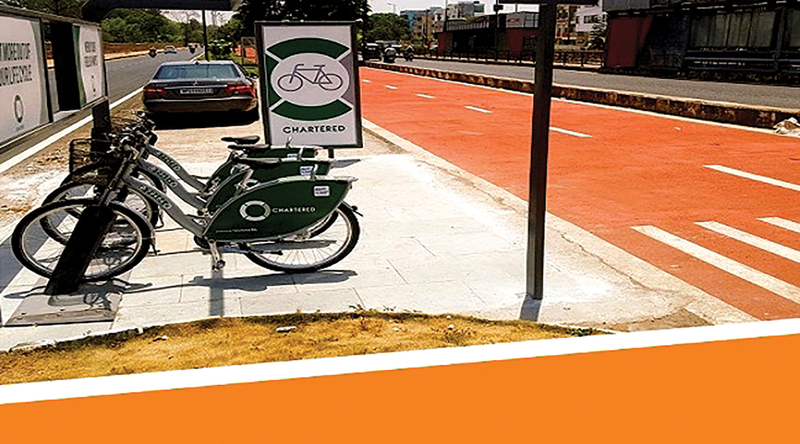 The aim here is to promote cities that provide core infrastructure and give a decent quality of life to its citizens, a clean and sustainable environment and application of “Smart” Solutions. These Smart cities would eventually become models for other cities to be developed, much like the Saansad Adarsh Gram Yojana. So this scheme, evidently, was aimed at preventing a situation where cities will simply start to crumble some 10 years from now. All well and good. But then, the big question we need to ask is: Whatever happened to this Smart Cities Mission? Obviously, the first step was to look at the website. And it was dead. No really. http://smartcities.gov.in/ was dead. So I sent a tweet to the Secretary of the Ministry of Housing and Urban Development hoping he’ll notice. He admitted it was down, and by Monday it was working again. The tweet may not have been responsible for it but the website was up again. In fact, a number of people were complaining about the website right from the launch date. It looks like nobody quite bothered with it that much. The date of the complaints was June 26, 2015 — one day after the launch. The last time the website seems to have been updated was in January 2018. How do I know? Because that’s when you can see the last notification in the ‘what’s new’ section. Then I checked to see what the official Twitter handle @SmartCities_HUA was upto. As expected, it’s the dullest, most un-informative handle. Ever. The recent posts are retweets of the Secretary of MoHUF’s stroll at Rashtrapati Bhavan. Seriously. Anyway, surface-level investigation done. Let us dig deeper. Data from the Urban Development Ministry shows that, in the case of Smart Cities, the fund utilisation was the lowest at 1.83%. Which means, out of the Rs9,943.22 crore released, only Rs 182.62 crore were utilised till March 2018. Fund utilisation aside, till December 2018 work has started on about 2,342 of projects. Which means that out of the total of 5,151 across 100 cities, 2,809 projects are either just been tendered or have not even gone through the tendering process. That’s 54% of projects which haven’t started work yet. 27 Smart Cities in Round 2 in September 2016. Till June 2017, Round 3, 40 cities were not even selected. The jump from October 2017 till December 2018 might simply be because 40% of the planned cities were added during that year and new projects were commissioned for the previous cities selected. Things seem to have truly picked up pace only last year. Let’s go down to the basics and ask: What is a Smart City even? The simple answer to that question is that it varies. 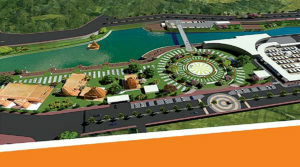 For instance, there is a project going on in Dholera, Gujarat. This one is not under the Smart Cities Mission but they are still developing it, and calling it a Smart City. Their idea is to have a swanky airport, an expressway connecting Ahmedabad and turning it into a defence manufacturing hub. So, an industrial smart city then? Alright, let’s look at Chandigarh. This is a city under the Smart Cities mission and a crazy amount of money is at stake to develop it. The government allocated Rs 196 crore in 2016 out of which only Rs 15.72 crore was spent till November 2018. But the money doesn’t come from the government, it comes from the private sector. Public-private partnerships will add Rs 3,000 crore to the efforts. Good money and all but Chandigarh’s idea of a Smart city is different than Dholera. The city is supposed to get smart water meters, a wi-fi zone, integrated solid waste management system and even a tech-driven bicycle sharing facility. But all of this is happening in one concentrated area, Sector 43, where 90% Smart City funds are to be spent. As the third example, take Bhubaneswar. It was the first choice of the Ministry of Urban Development’s flagship Smart City project in 2016. Two years later, it did not feature in the 2018 Awards hosted by the Ministry. An official said that only those projects and initiatives which had started delivering results were considered. There’s another reason for that. Turns out, Bhub-aneswar might not exactly fit the “Smart City” nebulous idea anymore. Ninety per cent of the funds are being spent on retrofitting, meaning: repairs. They’re spending money on building development, slum housing, green and park areas, road development and accessibility while other “smart” projects like technology for traffic, transit, parking, emergency response and incident management, etc. are getting less attention. These are just three examples. One of them is not even in the list but the crazy variation in how and what is a Smart City, what projects will be implemented, how much money is being allocated to them and everything else is kinda all over the place. In a situation like this, it’s extremely difficult to point out whether the overall central mission is doing well or not. Some cities might have development to boast about, some might just have repaired old buildings, slapped a fresh coat of paint on them and boom. Smart moves. What isn’t smart is the fact that almost every smart city project under development is affecting a minor percentage of the population in each city. Even the areas are super concentrated. The progress of the mission is slow, criticism is heavy but the reason for that, just like the SAGY might be bad policy design. While the Smart City Mission this government is projecting is futuristic cities which operate by themselves using ultra-efficient AI, something straight out of a science fiction novel, it’s really not that. It also feels like the BJP Government has sort of given up on this project because in the 2019 manifesto they released on Monday, April 8, there was no mention of Smart Cities. At all. Perhaps the government should have thought about how dreams will be implemented before hard-selling them to a hungry expectant population that is dealing with horrible city infrastructure.